My friend M and I were driving around Makati to eat and drink before a concert; enjoying the drive on a holiday. We had a lot of time to spare so we ended up heading to Guijo Street and found ourselves seated at the bar of 12/10. 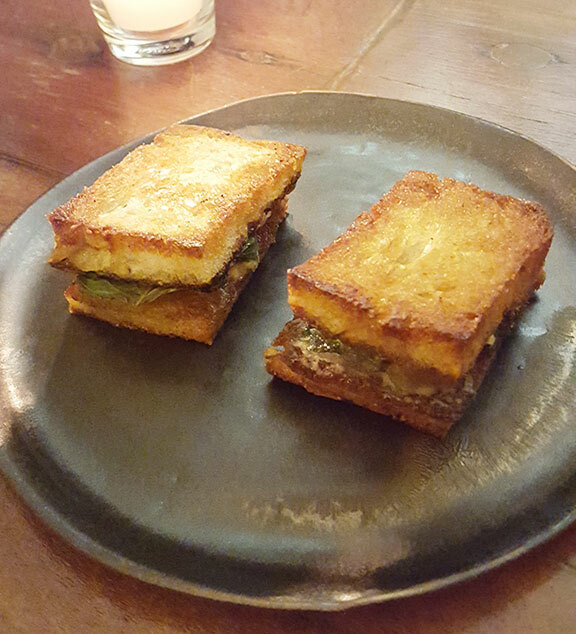 From my shot, this doesn’t look much but inside is uni, pineapple jam, liver pate and shiso leaf. The fried bread adds a nice, fatty touch. 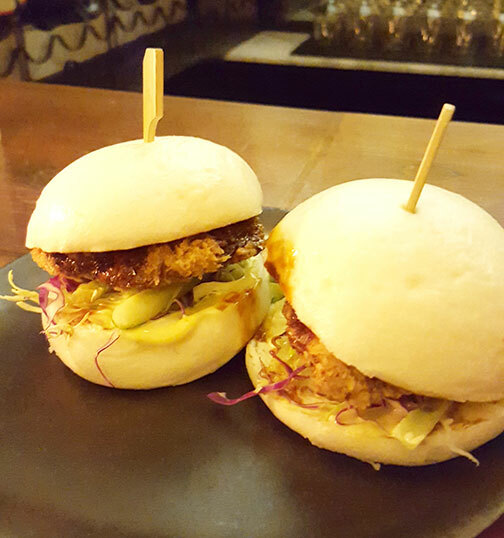 12/10 replaces the bread with a steamed bun for this dish and makes a mean crispy pork katsu with red cabbage and yuzu. This was gone in 3 demure bites. 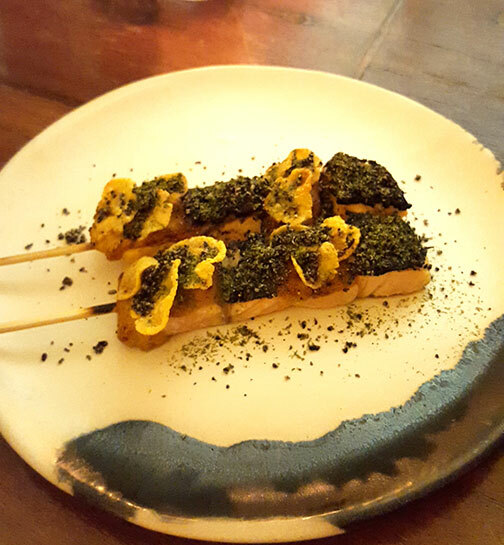 An unusual combination of grilled salmon topped with a hint of truffle, aonori, curry and cornflakes. They work well together. Spicy tuna, foie gras, negi and blasamic maple syrup. Best finale. M and I could have ordered 2 more plates each of this. Good things come to those who wait. 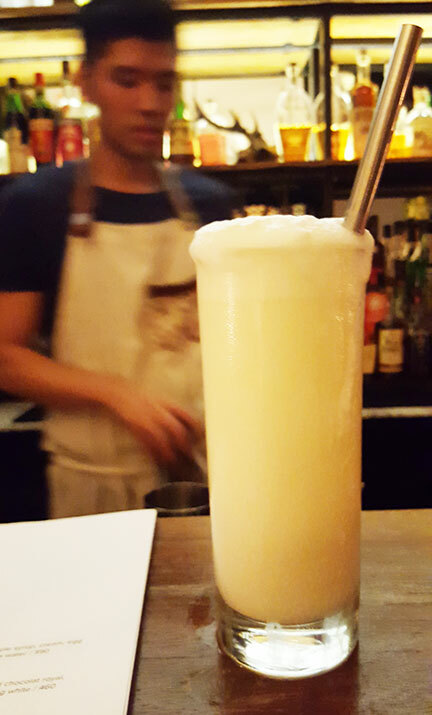 If you’re familiar with Orange Julius, this is the more refined, boozy cousin. I love a frothy beverage, thanks to the magic of egg whites. 12/10 makes the best one for me, it doesn’t leave any funky residue in the mouth. It’s been a year since our last visit, the restaurant was still new. I recall enjoying the food but our dishes and drinks were mixed up. As we were a big group there was a misunderstanding settling our bill. We didn’t take the issue up with management but we thought they needed to improve on how to handle these common mistakes in a more mature manner. This was a mistake on our part, since we should have made it a point to voice out our concerns to help their business. Perhaps between last year and today they had clients who had a similar experience as ours and they brought it up with the management. I’m impressed that our present experience was a very pleasant one and felt necessary to commend an establishment for the vast improvement. 12/10 is a great spot for pre-game or happy hour. 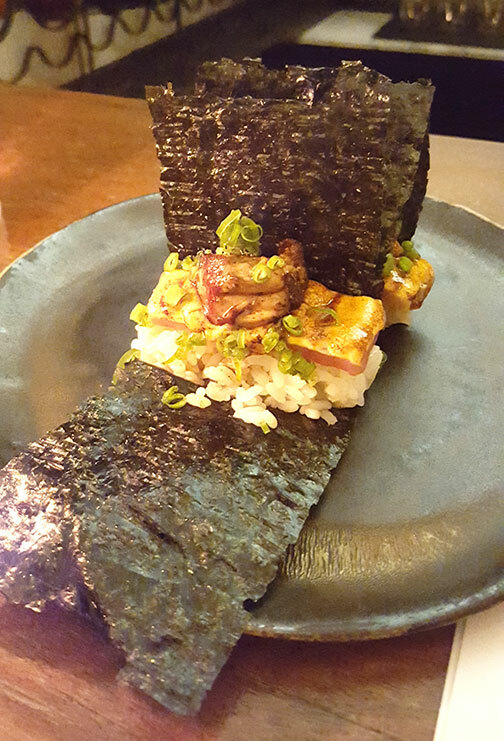 Think of an izakaya: small plates and a couple of drinks. It’s hard not to want to do repeat orders of everything. That just means you need to keep coming back for more.